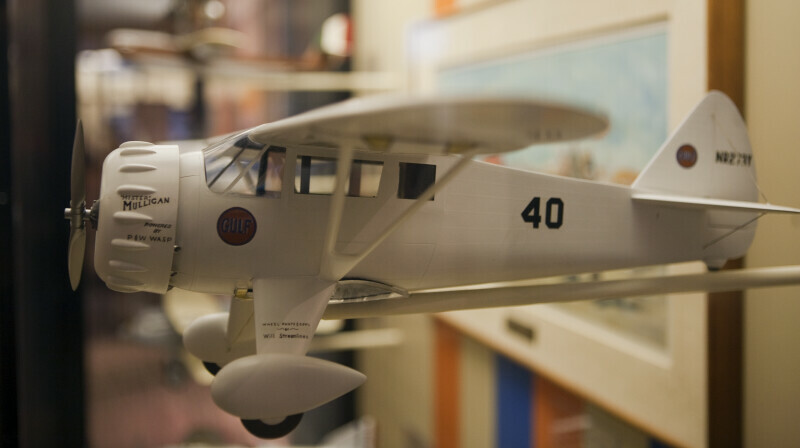 Side view of a Howard DGA-6 ("Mr. Mulligan") scale model at the National Air and Space Museum. This aircraft (No. 20) won both the 1935 Bendix and Thompson Races, the only aircraft to accomplish this feat.